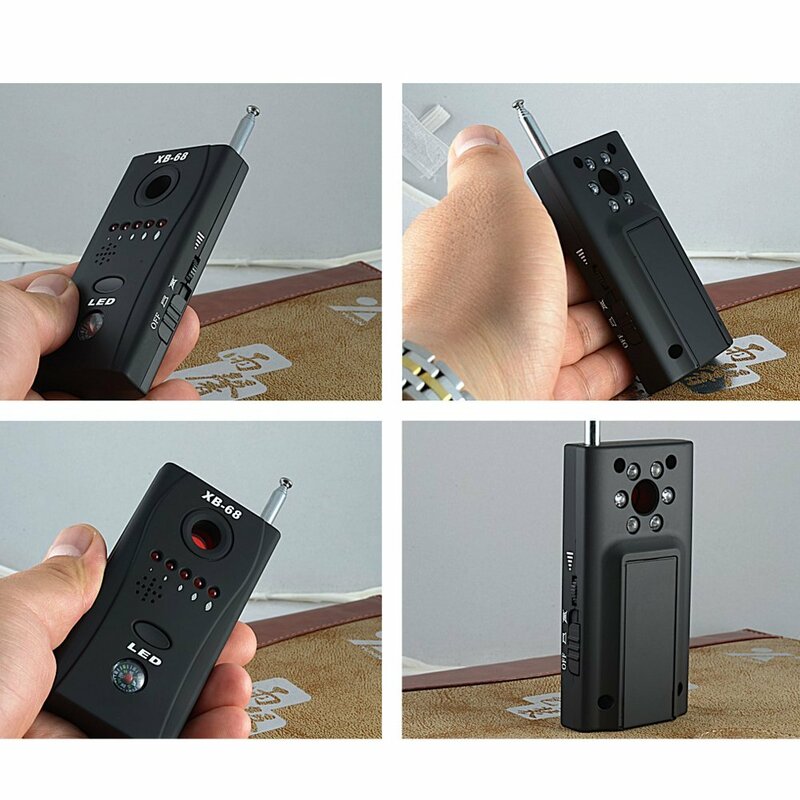 The XB-68 RF Detector & Camera Finder lets you check your surroundings for hidden cameras and audio bugs. You never know when someone may be monitoring you or your family without your knowledge. You can use the device to prevent eavesdropping and unwanted spying at home, in the office, in a hotel room, in your car, and just about everywhere else. Ensure your privacy with the XB-68 RF Detector & Camera Finder. The XB-68 RF Detector & Camera Finder will detect any wireless device that uses a radio frequency including audio bugs, Wi-Fi cameras, and other Wi-Fi-connected devices. The lights on the XB-68 RF Detector & Camera Finder will start flashing when there’s a wireless device within a 30-foot radius. The lights on the RF detector will get stronger the closer you get to the wireless device. Follow the strength of the signal until you locate the device in question. 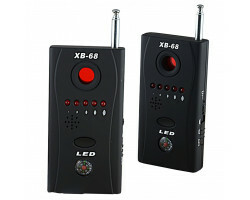 The XB-68 RF Detector & Camera Finder is also designed to detect hidden cameras that don’t use a radio signal, including wired hidden cameras that aren’t connected to the internet. 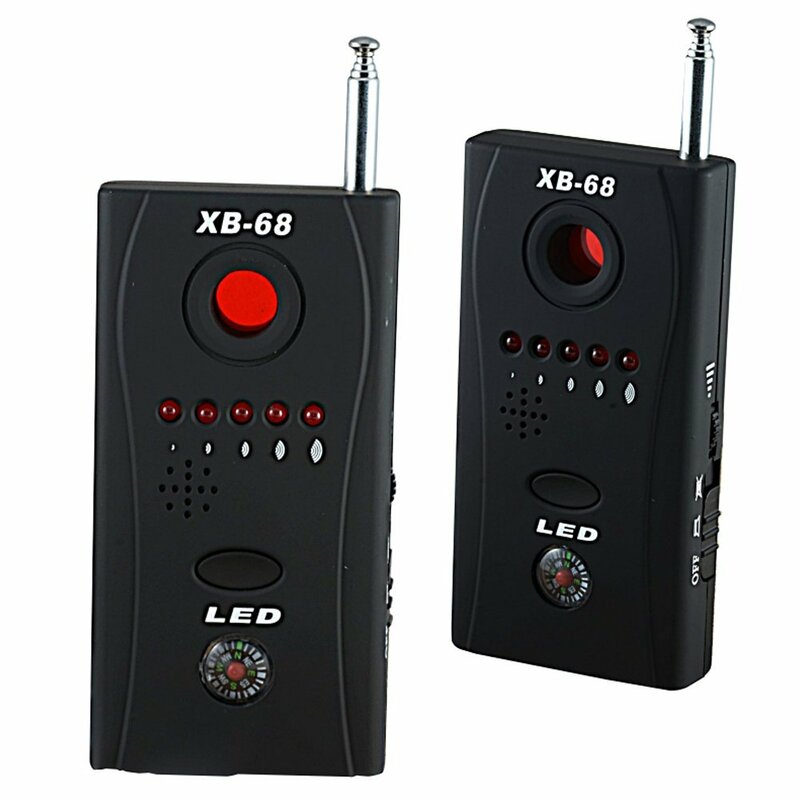 The XB-68 RF Detector & Camera Finder features a red LED light that reflects off of the lenses of any hidden cameras that might be hiding around the room. Just scan your surroundings with the device up to your eye until you see a reflection from the lens of a hidden camera. Compact and covert, the XB-68 RF Detector & Camera Finder is less than 6 inches long and weighs just 2 ounces. You can easily carry it around in your bag or your pocket. If you’re going on a trip or staying in multiple locations, bring along the XB-68 RF Detector & Camera Finder for continuous privacy protection. You don’t need to be near a power outlet to use the XB-68 RF Detector & Camera Finder. 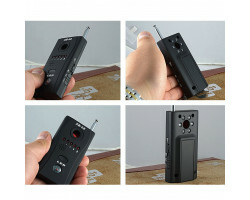 The device runs onbuilt-in rechargeable battery for detecting hidden cameras and audio bugs on the go. If you’re worried that someone may be recording you without your knowledge, take control of your situation with the XB-68 RF Detector & Camera Finder. You will have complete peace of mind knowing that no one is snooping on your property or your loved ones. Keep your home or business secure with the XB-68 RF Detector & Camera Finder.